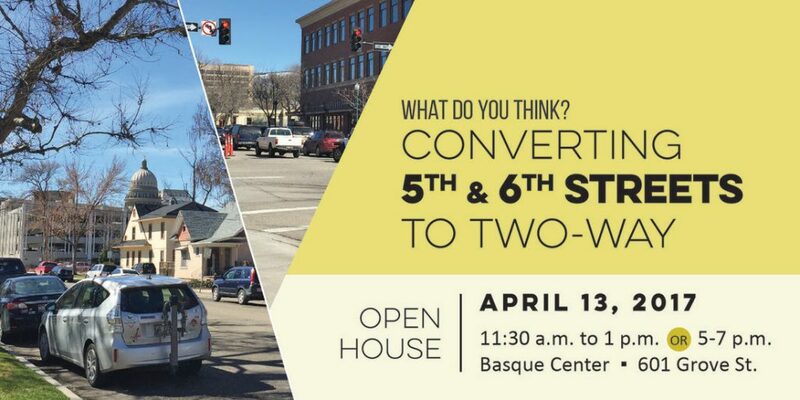 What do you think about converting 5th & 6th Streets to two-way? Materials from the open house, and a project survey, will be available online by close of business on April 14. Written comments may be sent to 3775 Adams St., Garden City, ID 83714 or to projects@achdidaho.org by April 27, 2017.